These policies are valid from July 14, 2012, were updated on May 24, 2018, and become effective May 25, 2018. Here is information on what types of personal information we receive and collect when you use and visit our blog and how we safeguard your information. We have never, nor ever will, sell or submit your personal information to third parties. Only under certain circumstances would we disclose your personal data and that would be in response to a valid request by public authorities such as a court or a government agency. We do not collect any payments through our site so there is no financial information collected or stored. As with most other websites, we collect and use anonymous information. The information in the log files include your IP (internet protocol) address, your ISP (internet service provider, such as AOL or Shaw Cable), the browser you used to visit our site (such as Internet Explorer or Firefox), the time you visited our site and which pages you visited throughout our site. This information is tracked by the following entities for better security, content creation, and marketing purposes. Anonymous information is also collected by our web host Orange Geek to distinguish between real users and bots and to protect our site from spam and hackers. If you watch an embedded video from YouTube from our site, the IP information is sent to YouTube to record that the video has been viewed. Cottage at the Crossroads is affiliated with AdThrive, LLC (“AdThrive”) for the purposes of placing advertising on the site. AdThrive uses standard and widely-available tools for the placement and serving of ads, including those provided by Google, Inc. and its affiliates. We publish interest-based advertisements on the site; that is, ads that are tailored to reflect your interests. To help understand your interests, AdThrive, Google and our other advertising partners will track your behavior on our website and on other websites across the Internet using cookies. We may collect your email address, but only if you voluntarily provide it to us. This may occur, for example, if you sign up to receive an email whenever there is a new blog post or to receive a newsletter from us. If you have provided your email address to us, we promise to use it only for the purposes for which you provided it to us, and also from time to time to send you emails regarding the site or other products or services that we believe may be of interest to you. You may opt out of such email communications at any time by clicking the “unsubscribe” button in any email from Cottage at the Crossroads. Our email list service provider is Mad Mimi and your address is stored in their servers. Leaving a comment on any one of our posts requires that you identify yourself by a valid email address. That information is stored in our site’s database. An anonymous string created from your email address to the Gravatar service to place your happy, smiling face next to your comment. It is always your personal choice to leave a comment or not but we hope that you choose to do so. We love to hear from and connect with our readers. You are welcome to contact us directly through our contact page if you have any concerns about the info that is collected through our site. 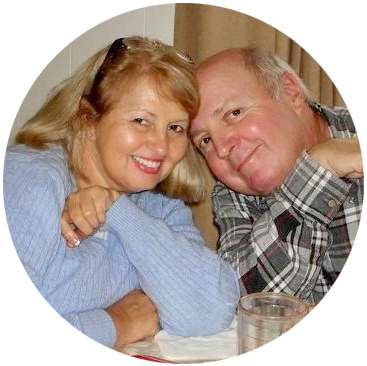 This blog is a personal blog owned, written, and edited by Leo Windham and Jane Windham. Unless otherwise stated, all photos are taken by us. If you are featuring our work, you may use only one unaltered photo and only a few lines of text with a link back to our site. Do NOT copy an entire post or tutorial!!! This blog accepts forms of cash advertising, sponsorship, paid insertions or other forms of compensation. Yessiree! You would not believe how expensive it is to run such a website so we are always appreciative of your support. We are the legal copyright holders of the material and pictures posted on our blog .Our material may be used by peer blogs, if it is linked to our blog and we are given credit for our pictures and ideas. Our images may also be pinned on Pinterest or shared through Facebook, Twitter and other forms of social media if they are linked to our blog and we are given credit. Our content (this includes entire blog posts) may not be published, copied, or reprinted without our consent. Occasionally we are compensated, monetarily or by free product, to provide our opinion on products, services, websites and various other topics. Even though we may receive compensation for our posts or advertisements, we always give our honest opinions, findings, beliefs, or experiences on those topics or products.The views and opinions expressed on our blog are purely our own. I (Jane Windham) am a participant in the Amazon Services LLC Associates Program, an affiliate advertising program designed to provide a means for sites to earn advertising fees by advertising and linking to amazon.com.